As is common to old villas in the Ponsonby area, the bathroom in this house opens from the kitchen. This was a major issue for the owners but, in this small home, there was no good alternative. So most important to the design of this bathroom renovation was to minimise the impact of it’s location, while staying to a strict budget. The greatest impact, with the lowest price tag, was to close off a rarely used side door in the bathroom. This gave us more wall space to work with which resulted in more room overall for a nicer layout. 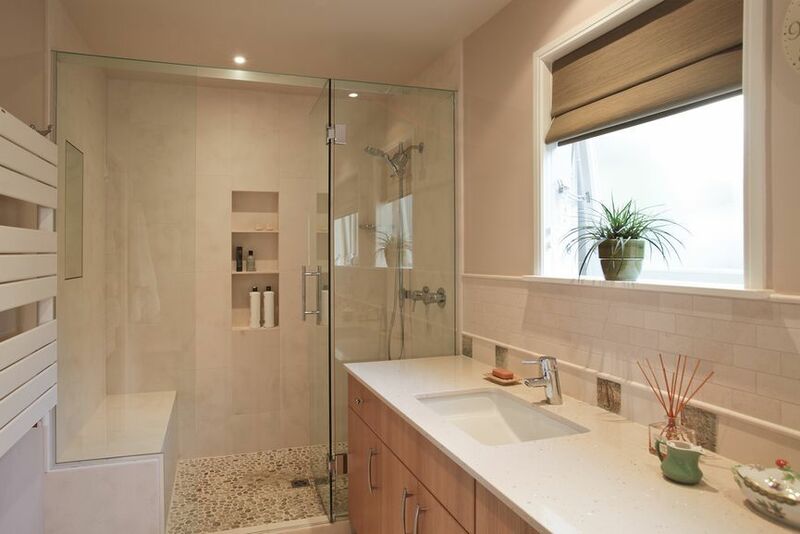 The small tub was removed and replaced with a large, walk in shower with expansive glass walls. 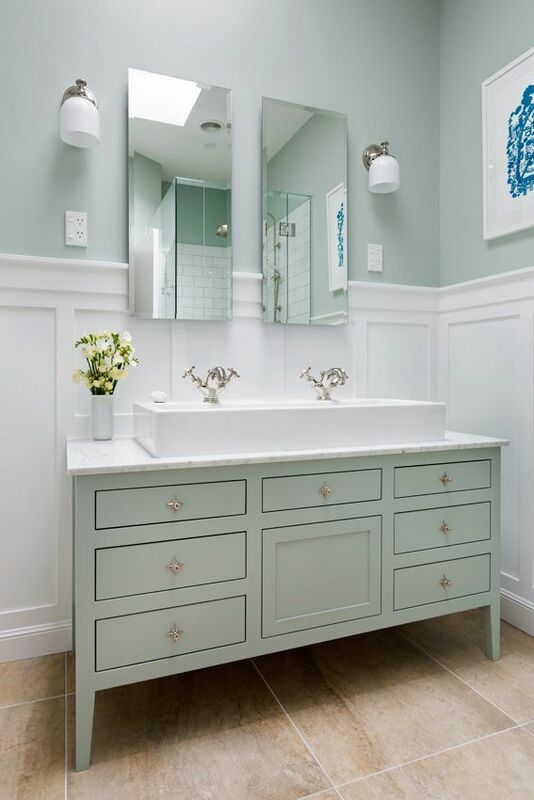 A wall hung vanity opens up the floor area while not taking attention away from the dramatic and unusual industrial style wall sconces on either side of the custom mirror cabinet. Black floor tiles run from the kitchen and continue into the shower to visually enlarge the room. 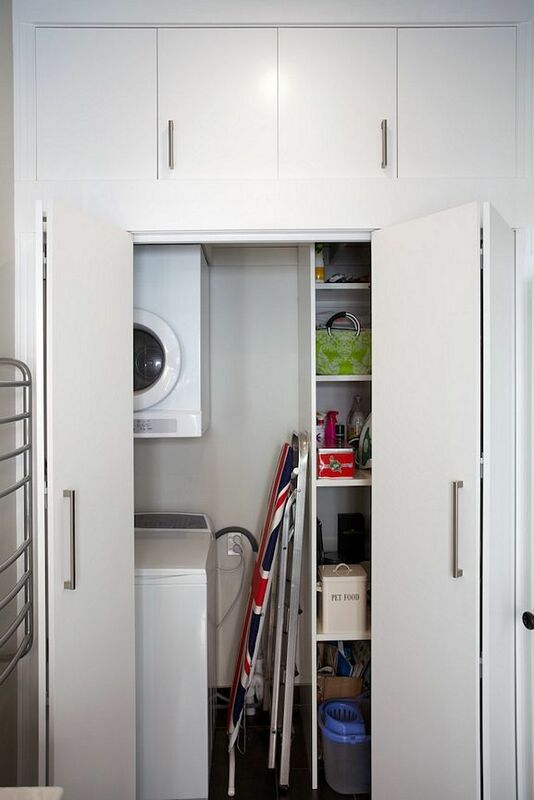 And an impractical, messy closet has been transformed into a well organised and useful laundry with customised storage shelves. Finally, a new door with frosted glass inserts was added so that the view from the kitchen is lovely to look at. This bathroom is small, but is now practical, spacious and perfectly formed.